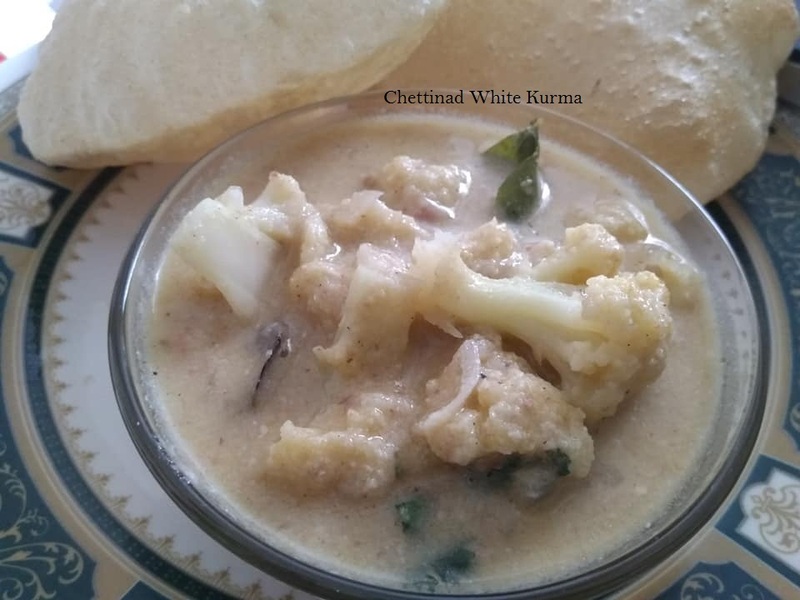 Creamy and yummy Chettinad white kurma is an interesting recipe to serve with Roti, Poori, and Naan, this can be served as a good combination with Cashew or Ghee rice or plain white Idiyappam as party highlighting dish which grabs the curiosity of the audience to taste. Grind altogether to a fine paste. Heat pan with oil season it with the above-mentioned ingredient-2. Add chopped onion saute till translucent, add ginger garlic paste and garam masala powder. Add veggies, tomato and salt saute for few minutes until tomato leaves its skin. Pour water into the sauteed ingredients- 2 cups of water and coconut milk or yogurt, close and cook till the vegetables turn soft. Finally, add the ground masala paste and cook for few more minutes. 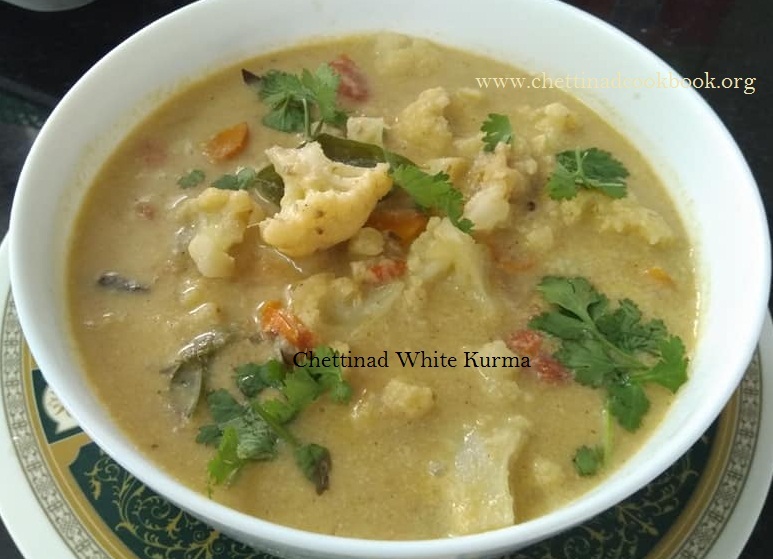 Aromatic and flavourful white Kuruma is ready to serve with chopped coriander leaves garnished.